If you are in search of a good photo editing software, you are going to run into many options in the market. Whether you want to edit photos on your computer, or on your phone, there is something for everyone available. This only means that you can easily make the edits and not run into any issues either. So, when it comes to choosing the right software, how to find the best photo editing/retouching software that is either free or affordable? Well, you can find so many options that it ends up confusing the average consumer. That is why in this roundup, we have curated a list of the best photo editing software available for you. 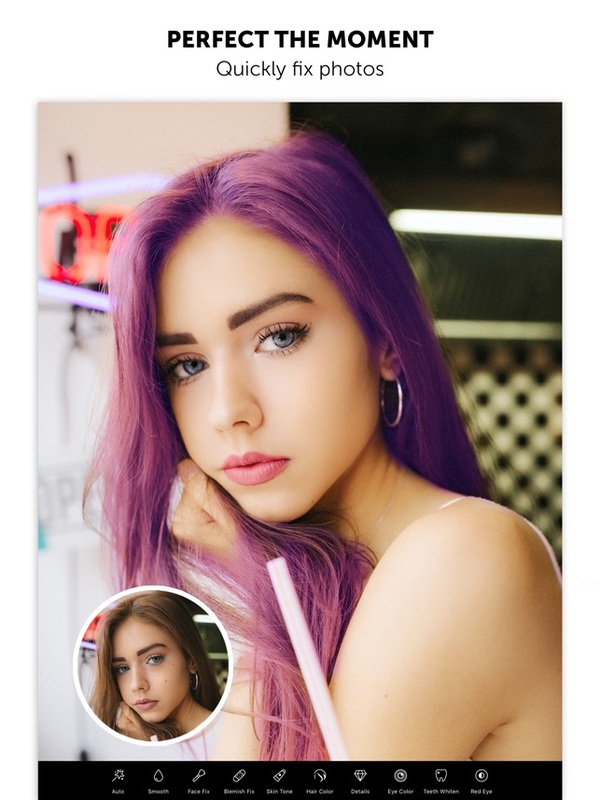 The best free photo editing software we are covering are available on mobile phones, as well as computers, so you have something to choose without any issues. Let’s not delay it any further, and have a look, shall we? Below, you will find the best photo editing software solutions. Just know that this is by no means a comparison guide, just a roundup to help the readers make a proper selection. 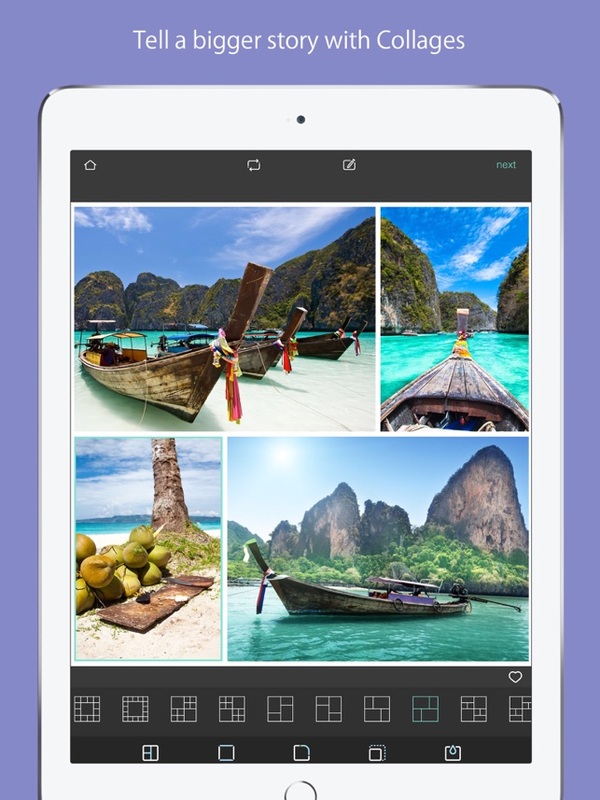 The first photo editing software we are looking at is the Movavi Photo Editor 5. 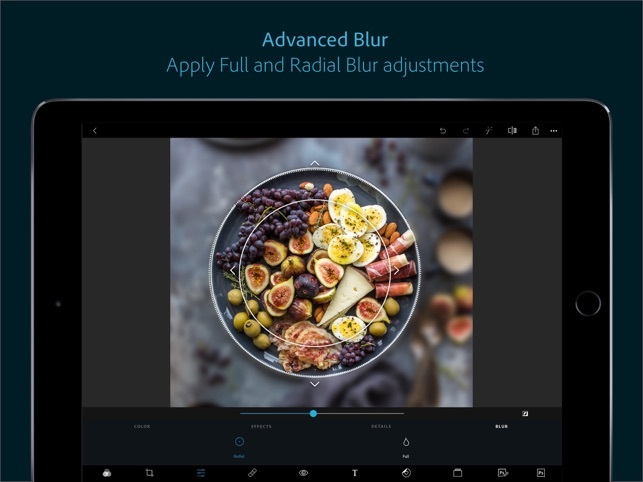 Movavi products have always been amazing, and we have absolutely no doubts about the performance of the Movavi Photo Editor 5 either. 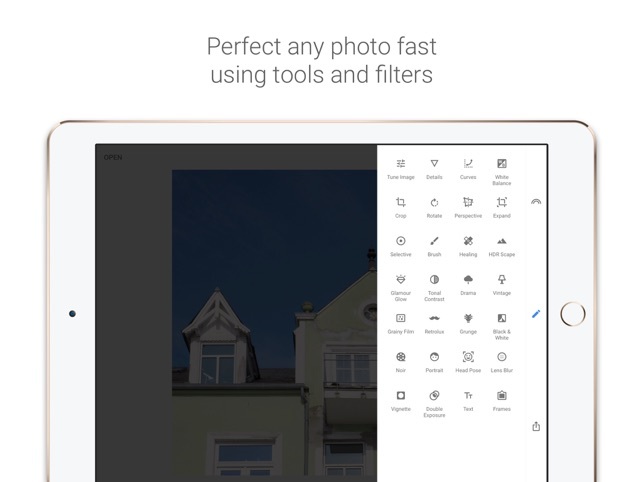 To start with, some of the main features of the Movavi Photo Editor 5 are listed below for your convenience. Object Removal: Users can easily remove objects that are not wanted in the pictures, and are causing distractions. Enhance Images: Just by a few clicks here and there, you can enhance the overall quality of images. 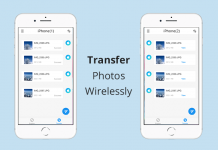 Restore Photos: Users can restore the photos with ease and convenience. Portrait Adjustment: You can adjust the portraits according to your requirements and have a satisfying experience. Miscellaneous: Aside from the main tools that we have focused on, there are a lot of other, small tools that you can use to make the photos look really good. 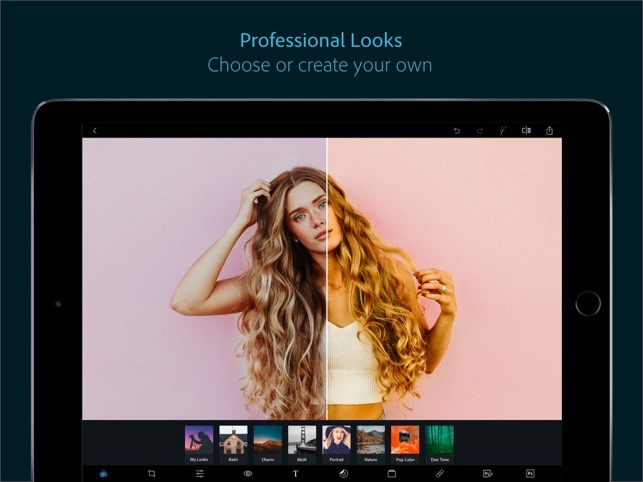 Tools like white balancing, effects, text, sharpness, retouching, color correction, makeup, noise reduction, reshaping and background removal are some of the most common tools that are available in Movavi Photo Editor 5. 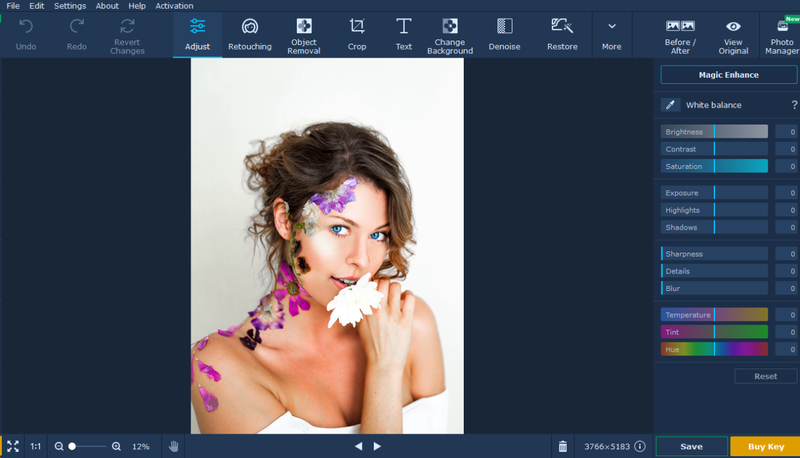 Movavi Photo Editor 5 also presents you with excellent value for money, as well as ease of access. You do not need to have a powerful computer to run the software, and you can edit your photos without putting in too much effort. However, if you are looking for advanced level photo editing, we are afraid that you might not get that ability. 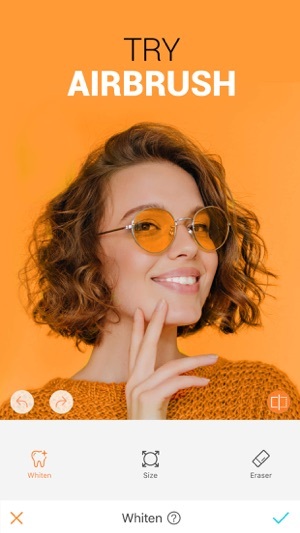 Overall, the Movavi Photo Editor 5 is one of the best photo editing software solutions that we have had the chance to use. It offers great performance and does not mess up your photo editing. Save up to 10 images. 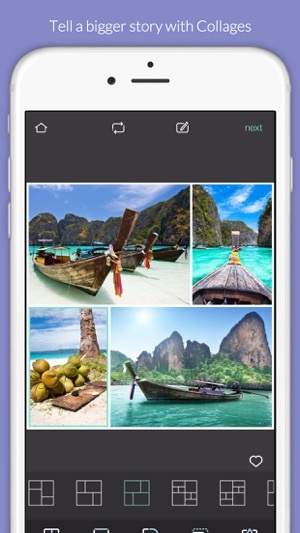 Photo Editor + Photo Manager: $59.95. Runs on pretty much any computer. Does not offer advanced control. Next up, we have the Serif Affinity Photo. This is a strangely named photo editing tools available on both Windows and Mac. Is it as good as it sounds? Well, that is what we are going to find out in this review. Some of the main features can be checked out below. 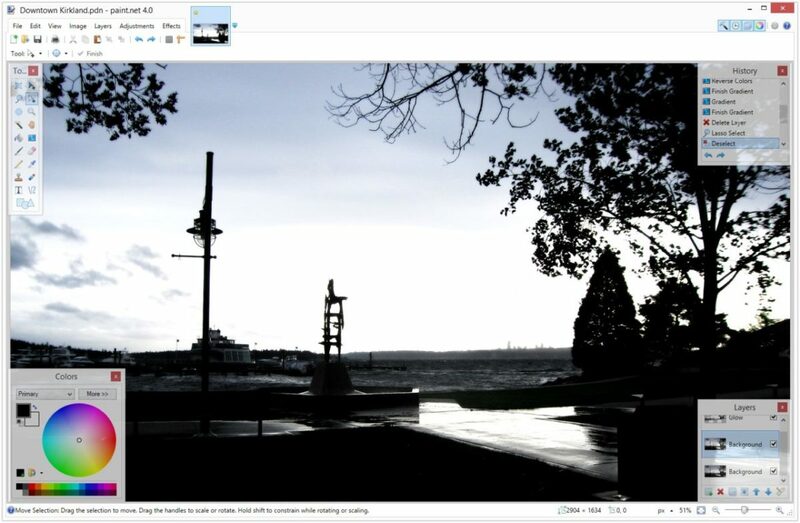 Raw Editing: The software allows you to edit Raw photos with ease. PSD Editing: If you have some PSD files that you want to edit, that can easily be handled using the software. 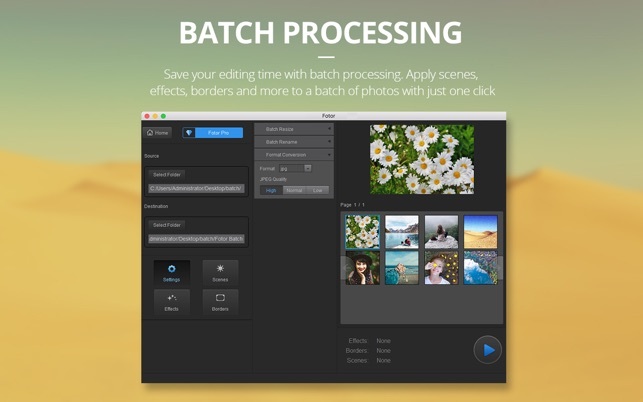 Batch Processing: Have your videos process faster using the batch processing feature. 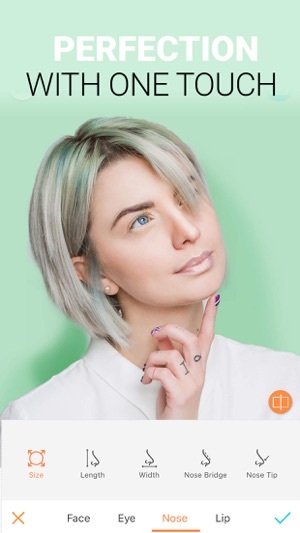 Retouching: Give your images the professional flare. Multi-layered Composition: Compose your pictures like a professional. It is safe to say that in terms of being feature-rich, the Serif Affinity Photo does not hold back. The Raw editing is a godsend, and the fact that this software works with both raster and vector images is something that we cannot ignore. Additionally, you have options to work with HDR and panorama pictures. Last but not least, you have focus stack editing, and layer editing, giving you the granular control that you might be looking for. On the flipside, the interface is non-standard, and all over the place. The software also lacks photo management or import tools which can be problematic for some. You can’t save custom made workspaces either, and there is no lens based profile correction either. In conclusion, the Serif Affinity Photo is a good photo editing tool with some advanced features but it also lacks some much-needed ones. Support for raster and vector images. Can edit panorama and HDR images. Focus stack merging and layer editing are great features to have. No import or photo management tools. Can’t save the custom workspaces. As far as photo editing software solutions are concerned, Adobe happens to be a company that does not need any introduction. Today, we look at the Adobe Lightroom, one of the most powerful and feature-rich photo editing software. The Lightroom is famous for its features, and below, you can find some of them. Limitless Customization: With Adobe Lightroom, you do not have to worry about not having your pictures look good. There is limitless customization thanks to the presets that are available, and also the ability to create your own. 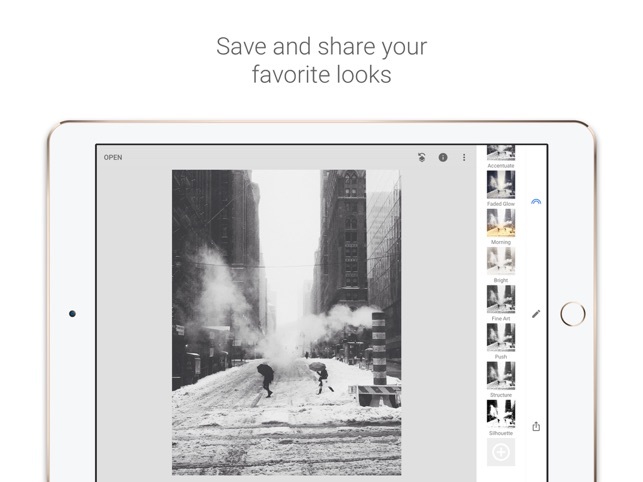 Great Organization: You can organize your photos effortlessly, and make them into an album. 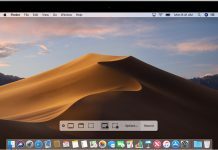 Edit Anywhere: With options to sync the software across devices, you can basically edit anywhere you want without much to worry about. Cloud Storage: Adobe gives you up to 1TB of cloud storage, so your synced files can easily be accessed without much hassle in the way. The thing about Lightroom is that for many people, it is the best and most definitive photo editing software. 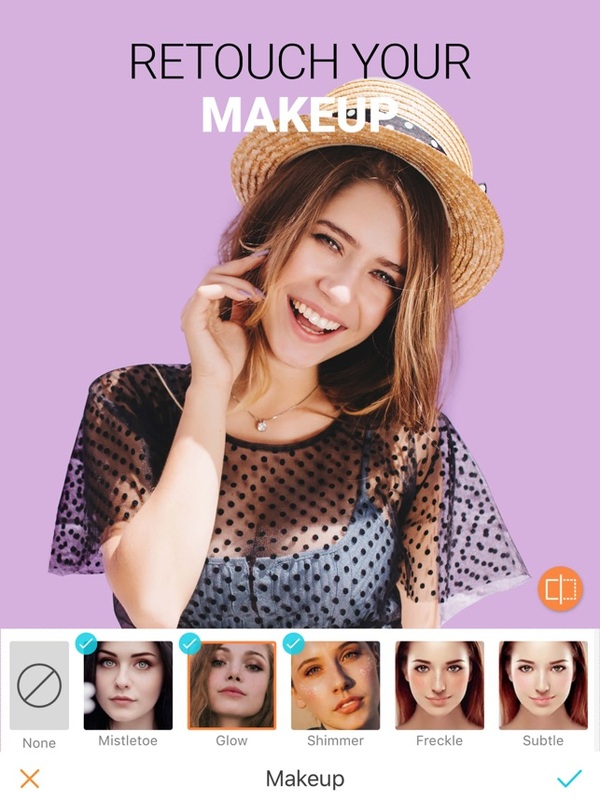 It has all the features that you might want to use, and if you are looking to start the professional career of photo editing, this is the software to go with as it gives you all the options that you could wish for. The only downside that I have is that the software is on the expensive side, and that might not be something everyone can go afford. Trial version, all features supported. $9.99 a month for Adobe Lightroom CC. Create your own presets, or use the ones that are available on the internet. Edit the photos just the way you want. Extremely powerful algorithms to bring out the best out of your pictures. Not as cheap as some of the other alternatives. Adobe Photoshop is another great product for photo editing. While Lightroom offers great photo editing as well, it is mainly for photographers who do not have to edit other photos. However, with Photoshop, you can edit any nature of photos and that too with ease. Just like Lightroom, Adobe Photoshop is also loaded with features that you can make use of in order to have the best possible experience. Below are some of the features. 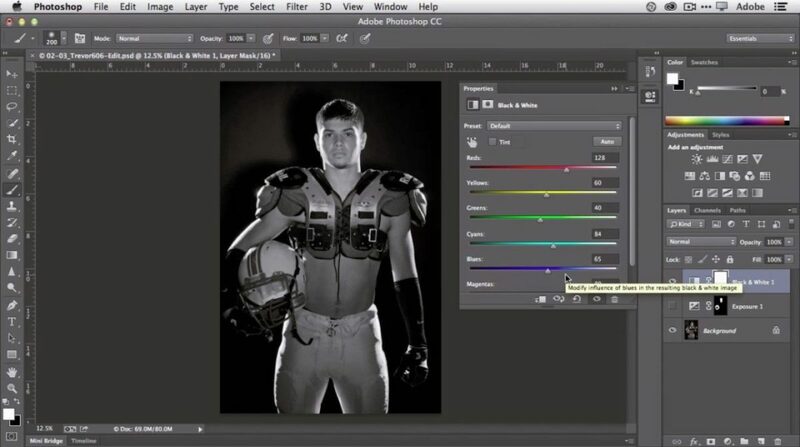 Tag Automatically: Adobe Photoshop tags the pictures on its own and saves you time. Cloud Storage: Users get access to 1 terabyte of cloud storage. Experimentation: The best part about Photoshop is the experimentation that it provides. You can literally take any photo, and turn it into whatever you wish to turn it in. Countless Editing Tools: Another great thing about Photoshop is that it offers you with countless editing tools to make your job easier. I do not think we need to rave about Photoshop all that much. it is perhaps one of the most, or even the most powerful photo editing tools available in the market. The best part is that the software has such an amazing list of editing features that you might not want to look the other way. The only gripe I have here is that it requires a monthly subscription fee, and that is not something everyone is a fan of. 30 day trial with all features. Adobe Lightroom and Photoshop with 20GB storage for $9.99/month. Adobe Lightroom and Photoshop with 1TB storage for $9.99/month. Basic photography plan is good for beginners. Lightroom comes as a free goodie. Photoshop skills can be used for a lucrative career. Subscription is not a thing for a lot of people. In the world of full-on advanced photo editing software solutions that cost a lot of money, Gimp is one of those that are doing the opposite. In the hindsight, the photo editing software is excellent with all the features you get, but at the same time, it is free of cost. With the fact that the software is free of cost, you would only wonder that it comes with a lot of limitations. 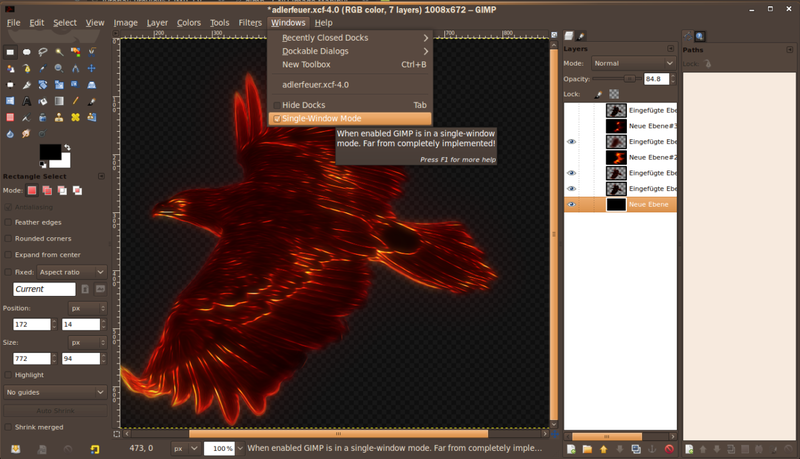 however, that is not the case with Gimp as there are so many amazing features available on this software. Photo Enhancement: Make your images stand out the most by enhancing them with ease. File Management: Manage your files with ease, and prevent any clutter. 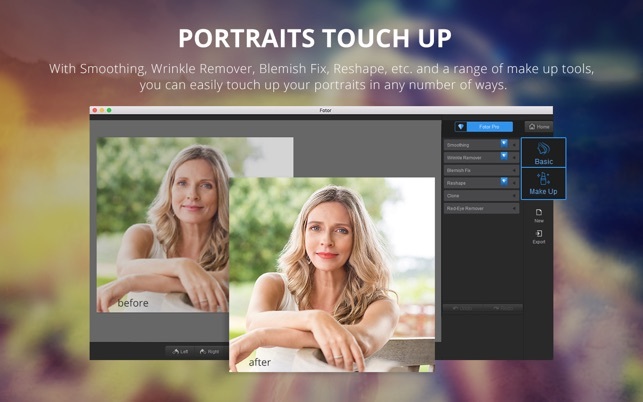 Retouching: Digitally retouch your photos and make them look better than ever. Multi-Plugin Support: Use as many plugins as you wish to without slowing down the system. As you can see there is a lot to love about Gimp, the fact that it supports nearly every image format is something that we can never overlook. There are countless editing tools at your disposal and they work really well. Thanks to the fact that the software is open source, it is constantly improving, and the overall user experience is seamless. My only issue with Gimp is that the interface does not feel as clean as some might like. Overall, Gimp is best because it is entirely free, and more importantly, it happens to be an open source software, so there is just so much to enjoy. A long list of format support. Great list of editing tools at hand. The user experience is seamless and streamlined. The interface is not as clean. Sometimes, when it comes to photo editing, some of the users are not really looking for the most advanced tools. Simplicity is something that we all are a fan of in one way or another. That is what PAINT.net focuses on. Despite being the simplest possible photo editing software, it still has some nice features available for you. Great Performance: I know this might sound like something that does not work, but having a great performance in a photo editing tool is a godsend. Layer Editing: You can edit the layers individually, making sure that your overall experience with editing goes well. Great Online Community: Thanks to the fact that the software is free of cost, it has a great online community that makes everything so easy. When it comes to features, PAINT.net might not be the go-to solution for everyone but we cannot deny the fact that the features are there, and they certainly are respectable enough. My reason to love this software mainly relates to the fact that it is simple and handy, the software does not have a steep learning curve, and it actually comes with features that are useful, and are not just gimmicks. There are a lot of plugins that you can use, and the overall interface is also very clean. On the opposite, there are limited brush tools, and features such as burn and dodge are missing at the time of writing. Overall, PAINT.net is a great option that you should definitely try if you are looking for free and easy photo editing. Has all the basic editing tools required. Does not require a lot of learning. A plethora of plugins to choose from. There is no burn and dodge option at the moment. In the hindsight, you can almost say that Darktable is a software that was built by people who did not want to pay for the Adobe Lightroom every month, but at the same time, did not want to pirate the software either. This is evident by the rather cheeky name of the software as well. However, underneath the cheeky name, Darktable happens to be a free, and open source photo editing software with some neat features up its sleeves. By the Photographers: This does count as a feature because Darktable was built as a collaboration among several photographers, and editing enthusiasts. Open Source: The software is open source, which means that there is a fundamental improvement to the software that gets done by the professionals. Constant Updates: Again, since the software is completely free and based on open source, the updates are quick, and without any issues. 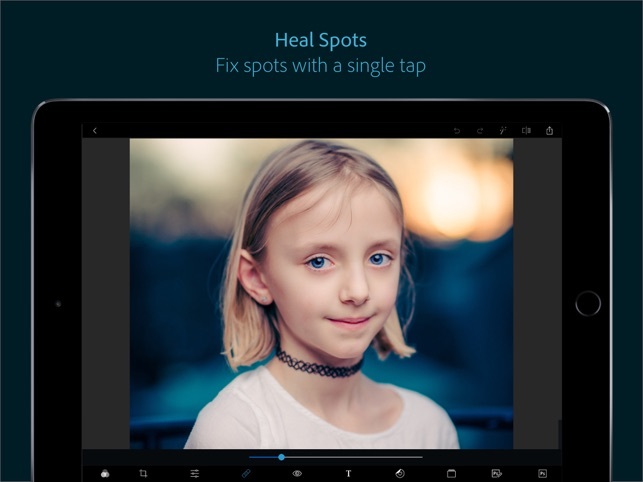 Darktable is certainly an intriguing take on a full-on Lightroom replacement. The software does come with all the features you would need for a photo editing software, and the best part is that you are not giving up on many features either. The editing tools are all there, and they work really well, you have a great way of making selection, and the equalizer module works really well as well. You get to choose some nice filters as well, so that is certainly a good thing. On the other side of things, there are some limitations, the file management needs to be improved. Additionally, the learning curve is there, actually more than it is in some of the other software solutions. The editing tools are really good. The software is easy on the resources. Equalizer module works really well. The file management is limited. For anyone who is looking for a simple photo editing software that can edit the photos without any issues whatsoever. Then InPixio is something that is definitely you should look into. The photo editor is made with simplicity in mind, but the thing that you need to know is that the software also has some advanced features. Even though it is for beginners, we cannot deny the fact that there are some really nice features available as well. Let’s have a look. 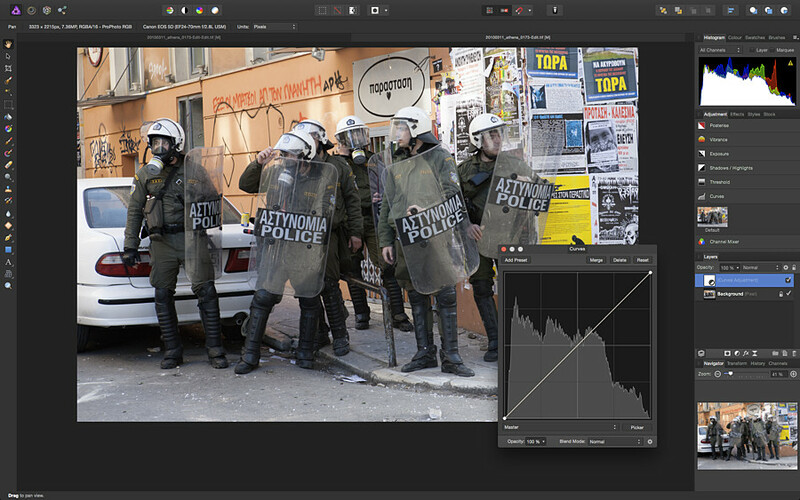 Tone Curve: Tone curve is perhaps one of the most powerful features that let you edit some great photos. You even have more than 16 sliders that you can use. 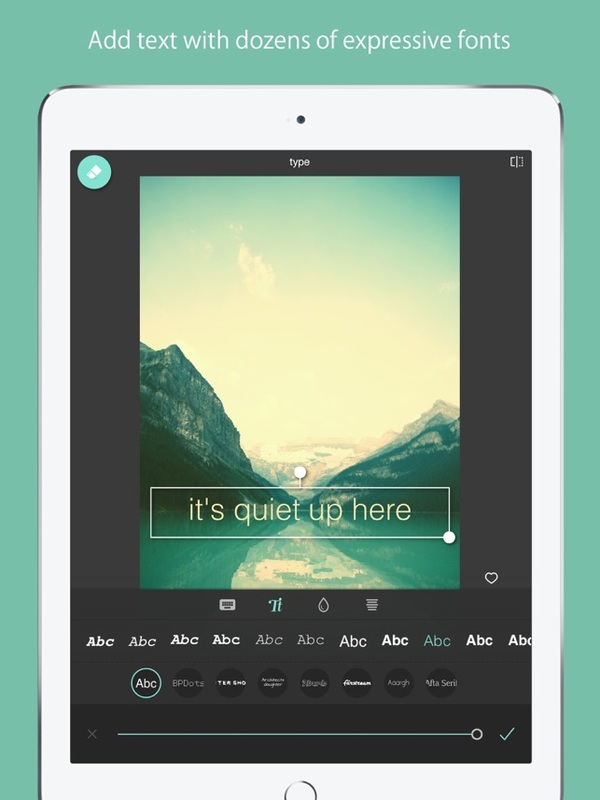 Filters and Effects: InPixio gives you a wide selection of both filters, as well as effects that allow you for great photo editing. Preset Creation: You can create your own presets and save them for future use. 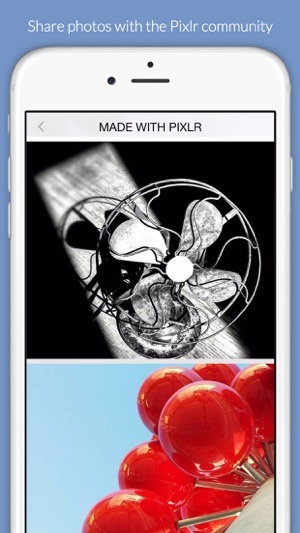 Tweak them for a better experience for different pictures. Despite being software that caters to beginners, InPixio still has some great features that you can use. The software is easy to use, it gives you a handy way of looking at before and after photos. 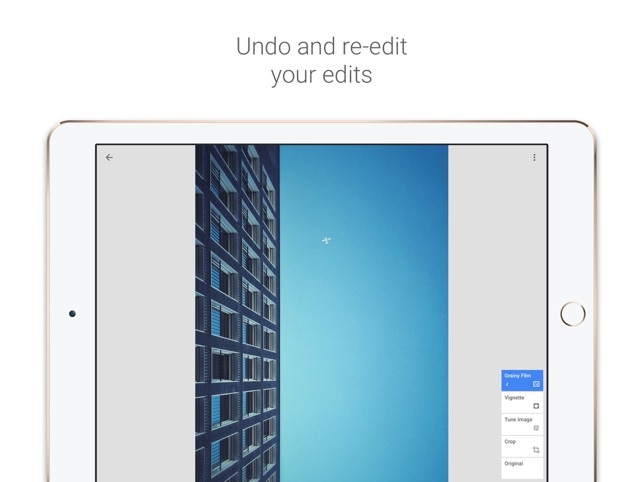 You can actually apply the same edits from one photo to another photo, making things even easier. As far as the downsides are concerned, I don’t think there is anything that can break your overall experience. 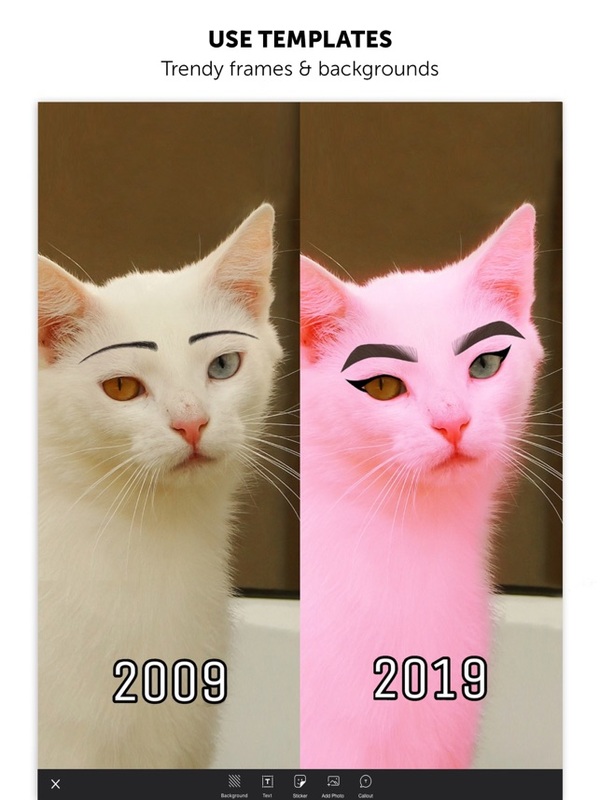 However, you must keep in mind that if you are looking for advanced photo editing, you are not going to find that here. 5 day trial with all features. $20.15 for a full-time license. It is good with a before and after view of the edits. You can edit a photo, and use the same editing on a different picture without any issues. There are not enough advanced features. If you are someone who is looking to edit photos for social media content, or you are a blogger than Canva is something that you can definitely use. 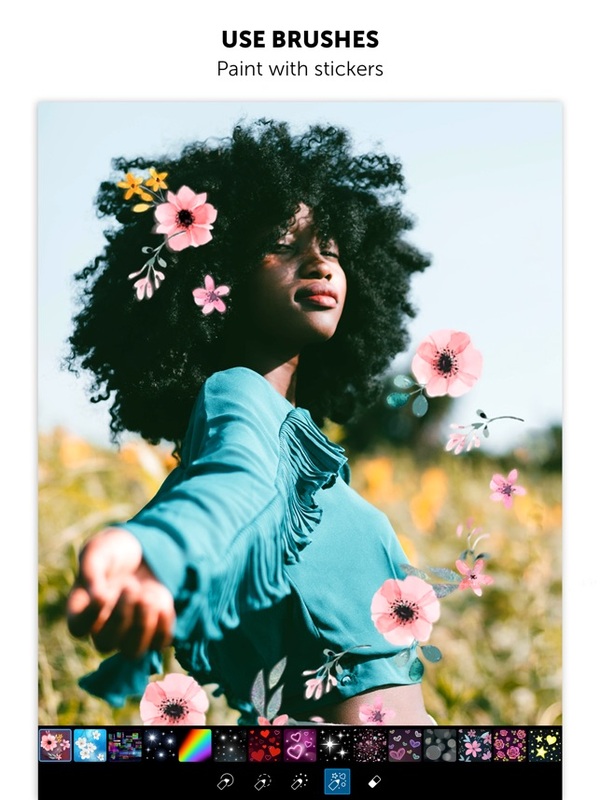 It is not a photo editing software that people like photographers are going to use, but the good thing about Canva is that it is unapologetic about what it is. As far as the features are concerned, the features are revolving around the same things that you would wish you can get from a good photo editing software for content creators. Lots of Templates: A great thing about Canva is that there is a long list of templates that you can use from. Basic Editing Tools: Another thing that you must know that the software still has some basic editing tools, so you are not completely lost. Enhance Photos: You can even use Canva to edit your photos in a way that ends up enhancing them, making them look even better than before. 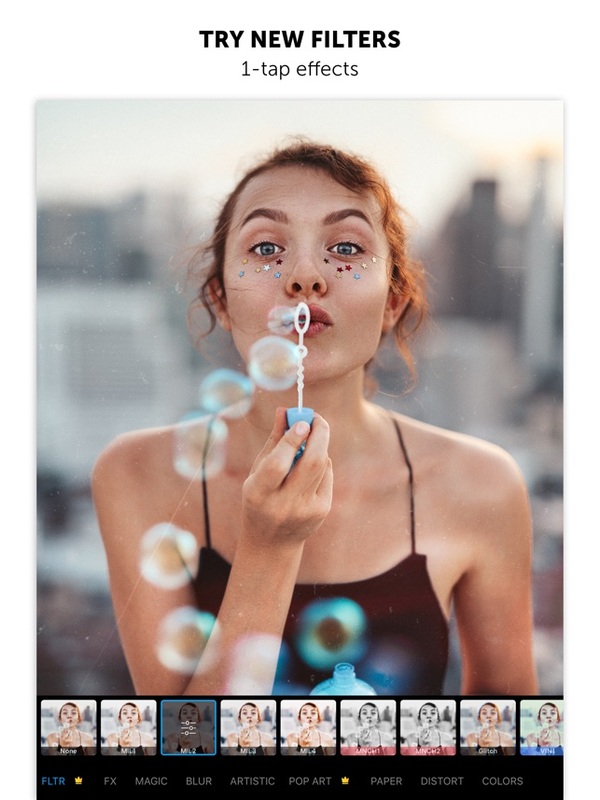 The good thing about Canva is that it is totally free, the software itself is also really easy to use, and the best part is that it has great integration with stock photo repository that can allow you to find some amazing stock photos. 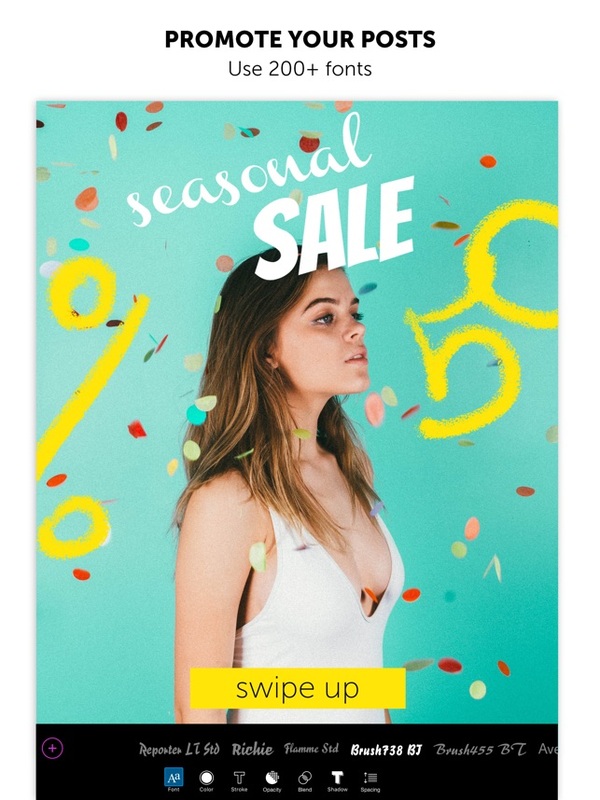 If you use your own photos, you can use this software for free, but the stock photos do cost money. As far as the downsides are concerned, the biggest issue I have is that there are no page grids, and the same goes for alignment tools. In conclusion, Canva is rather simple and easy to use photo editing tools that achieve everything it is made for without making things complicated in any way. Very easy to use for all user types. Great integration with a stock photo repository. You can use it for free if you have your own photos. If you are looking for a photo editing tool that is best for quick edits and does not require a lot of your time, then going for something like Pixlr is definitely a great thing. The software is available to use on the internet, is entirely free, and works wonderfully. Despite being online-only, it still has some amazing features. Some of the main ones are listed below for your convenience. Lots of Effects: You get to have a selection from 2 million free effects. 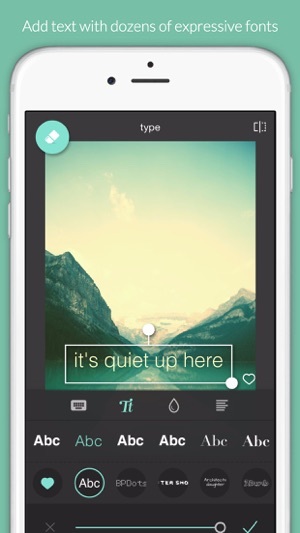 Overlays and Filters: Users can access some great looking overlays as well as filters. Mobile and Desktop Versions: Users can also go with either mobile or desktop versions should they wish to. Aside from the usual suspects, there are a lot of great things about Pixlr. For starters, the advanced editing tools make this software one of the best when it comes to the overall usability. You can link the software with Facebook with proper integration as well. There are some amazing single-click tools that work on auto to provide you the proper photo editing skills. If you ask me about the downsides, the only thing that I would come up with is that there is a learning curve for beginners, and that is about it. Overall, Pixlr is good. It actually happens to be great in every single regard and works well without any issues whatsoever. You can use the software with ease, and you really do not have to worry about anything at all. You can link it with Facebook. The automatic and single-click tools are great. There is a learning curve challenge for beginners. Best Suited For Quick editing. There is no denying that cloud-based technology is slowly taking over the software market. There are just so many amazing cloud-based options available. 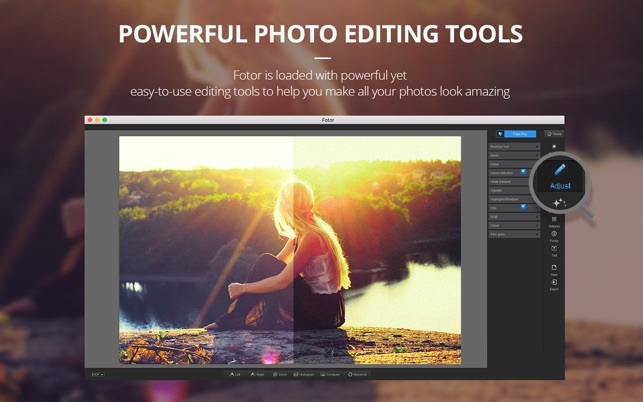 Fotor is a great option for anyone who is looking for good photo editing that is quick, and not as comprehensive to consume all of their time. 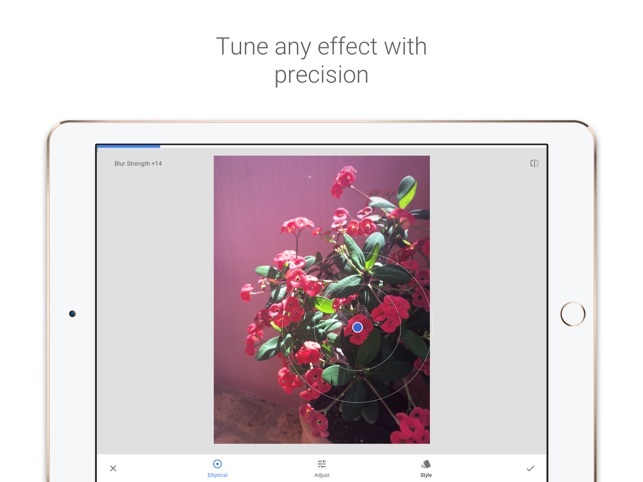 As far as the features are concerned, Fotor does have a fairly nice set of features for them to try. Editing Suite: First things first, Fotor has a proper editing suite you to try that allows you to edit your photos with ease. HDR Support: We all know that HDR is the future that is slowly becoming a part of reality. With Fotor, you can easily explore HDR photos with ease. Template Designing: Another thing that you can do is design templates. This is great because it helps in making things a lot easier for the content creator. 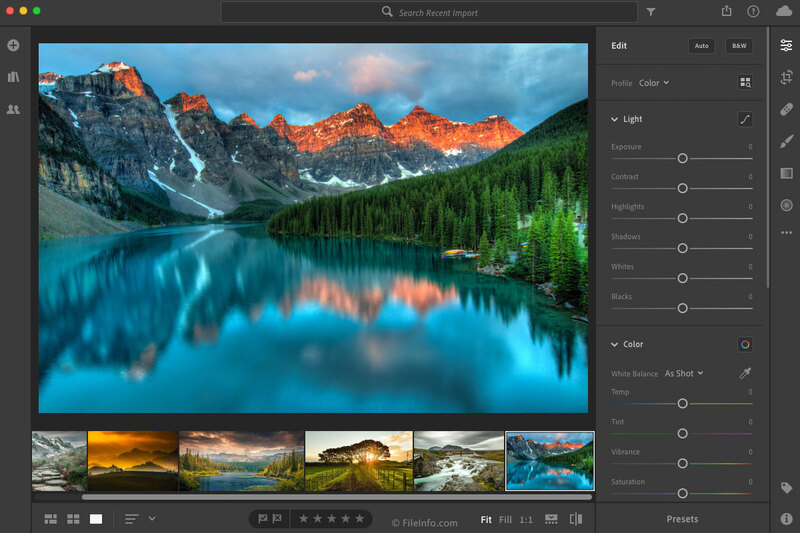 Despite being a cloud-based photo editing software, Fotor works wonderfully in most cases and gets the job done regardless. The software is cohesive, simple, easy to use, and does not create any issues either. 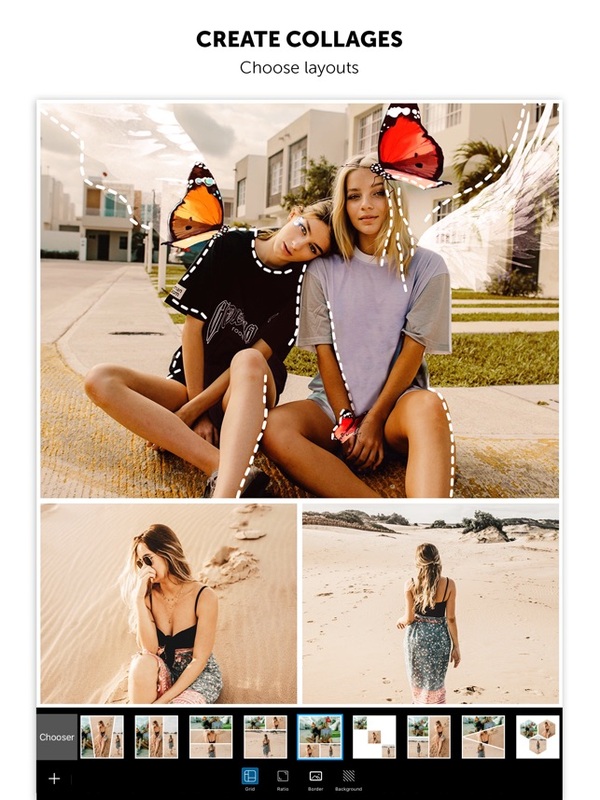 Most of the photo editing features work on the principle of one-touch, you can create collages with ease, and the software itself is extremely easy to use as well. 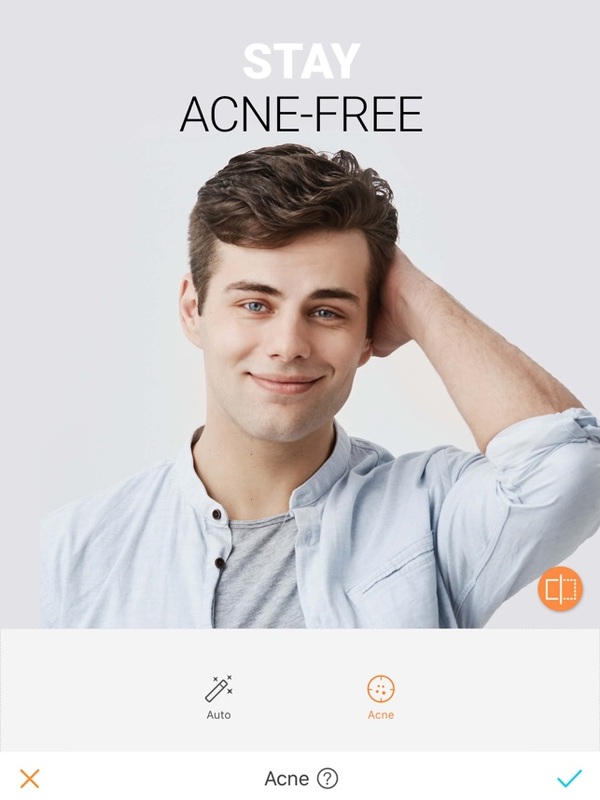 As far as the downsides are concerned, you might not have access to a lot of features, and there are some ads that can make the experience a bit cumbersome. 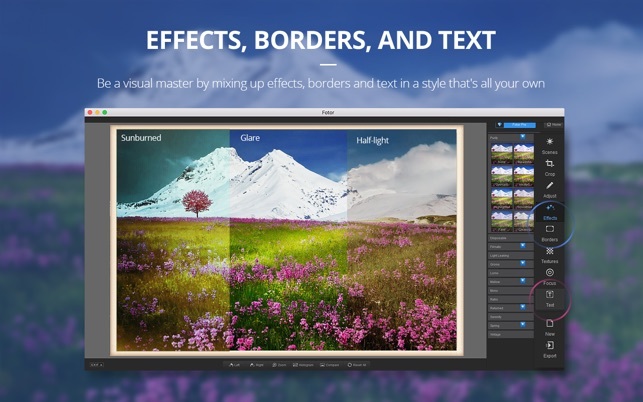 Overall, Fotor is one of the most decent cloud-based editing tools available in the market. The collage tool works really well. 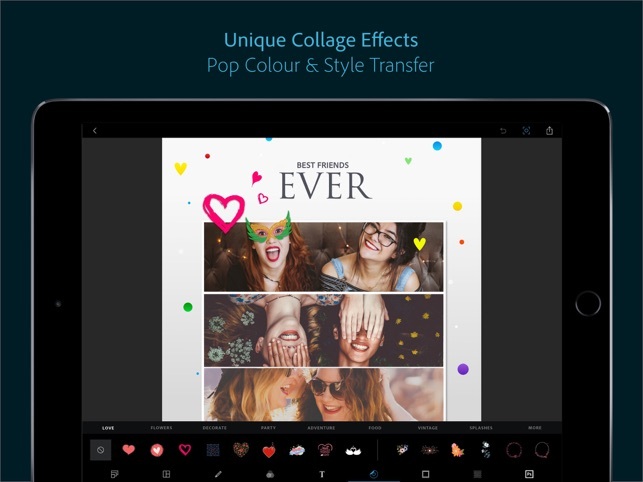 Now that we have looked at the best photo editing apps for your computers, it is time we pay some attention to the best photo editing apps on mobile. 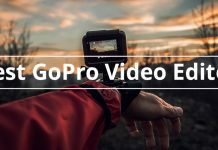 This is great because editing on the go is something many people prefer. So, let’s not delay any further, and have a look. Best Suited For Easy editing. Photoshop Express does not need an introduction. But still, it should not come as a surprise that it happens to be one of the best photo editing apps available on Android. The reason being simple, it is simple to use, easy on the hardware as well and gets the job done. You do get a good list of features, so for anyone who is into that, there is something for everyone. Editing Tools: This should not come as a surprise to anyone but Photoshop Express is loaded with basic and advanced editing tools. Syncing: The app can also sync with your Google Photos, Dropbox, Facebook, Adobe Creative Cloud, and other similar services. RAW Photo Support: The Adobe Photoshop Express has support for Raw photos. The great thing about Photoshop Express is that it is a well-designed software that has every single feature that you would want. The full-screen option is great, and the best part is that it is not even difficult to use even if you are a beginner. The Express basically means that Adobe has simplified the software for mobile use. There is one quirk here that I would like to mention though. The software does not offer any social media sharing directly from the app. Overall, I have to say that the Photoshop Express is definitely a great app for anyone who wants a simple and streamlined experience for quick edits. There are no major complications or complicated processes of editing some basic photos. The full-screen option is great to have. Syncs with other cloud services. If you think that Photoshop Express is a bit too much for you, then the good news is that Snapseed is another option that you can look into. The app is simple and does not require you to have a lot of learning curve either. Despite the simplicity, there are some amazing features that you can use on the go, and with ease. 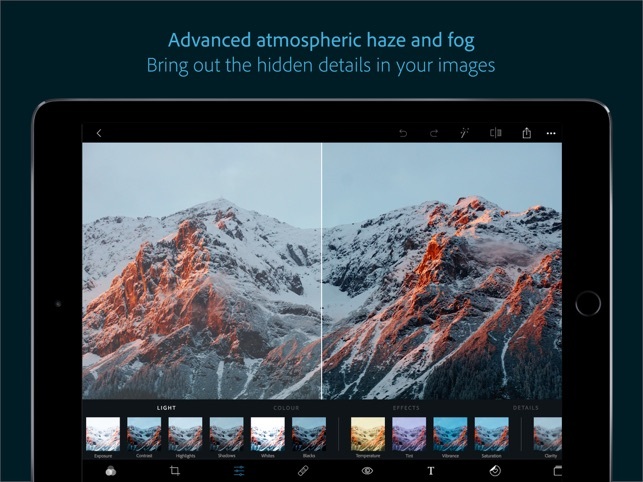 Below, you will find some of the main features that make Snapseed such an amazing option. Supports RAW Files: With Snapseed, you can import RAW and DNG files onto the app, edit them, and then export them as JPGs. Selective Tools: If you do not wish to edit the entirety of the picture, you can just opt for selective tools, and you would be good to go. Save Custom Presets: In Snapseed, you can make your own custom presets and save them without any issues for future use. Snapseed is definitely something that most people would love to use thanks to the granular photo editing it offers. It has some of the best photo editing tools, the editing is completely nondestructive, whereas you will not be losing the quality. You have some really nice brush options available, and there some pretty great filters available as well. The only downside is that if you want to be able to edit the photo properly, you will need to have some level of photographic knowledge. Overall, Snapseed is definitely one of the best, most feature-rich app for anyone who wants to edit their pictures with ease. 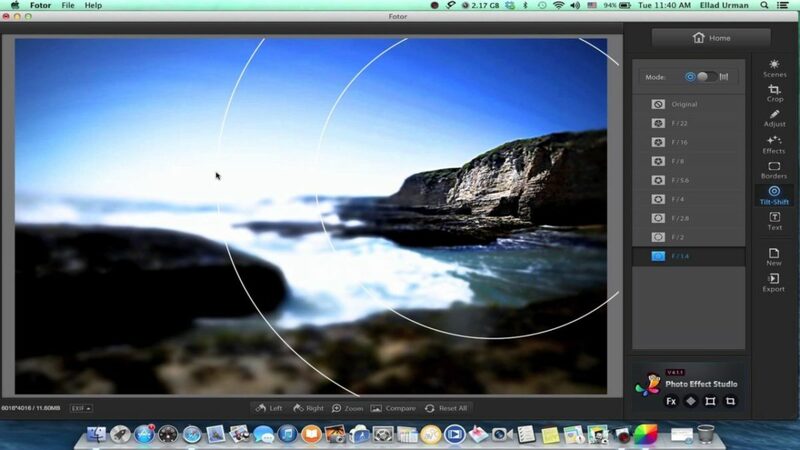 Brilliant tools for photo editing. Editing without any loss in quality. Selective edit brushes are amazing. Some nice filters are available as well. You will need to have some photographic knowledge to use this tool. 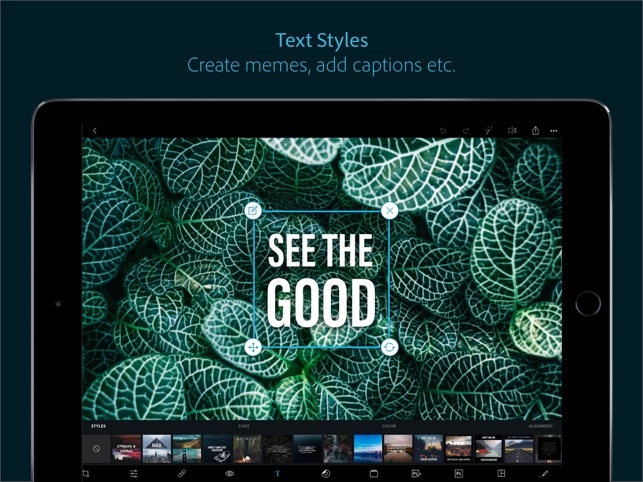 PicsArt Photo Studio is another great tool that you can use for editing photos with ease. 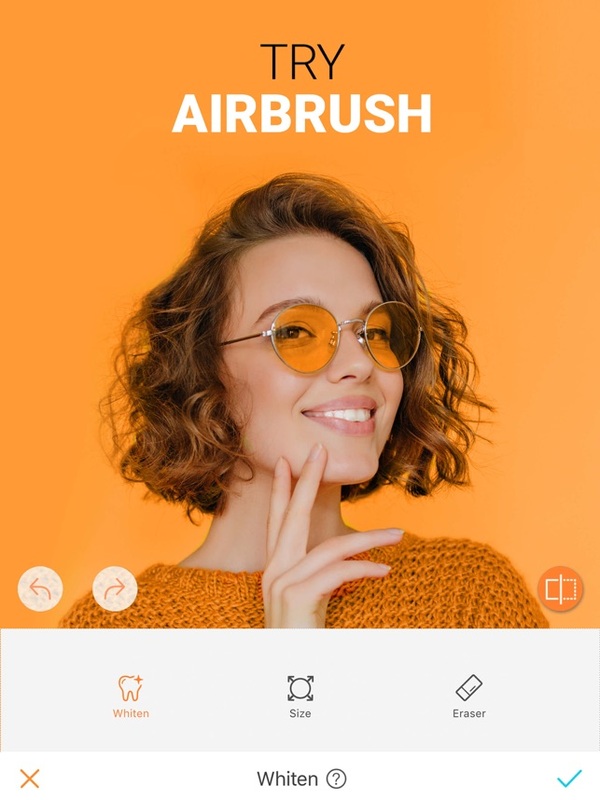 For anyone who is searching for a photo editing software that is simple and easy to use with the right amount of features, PicsArt Photo Studio is the way to go. 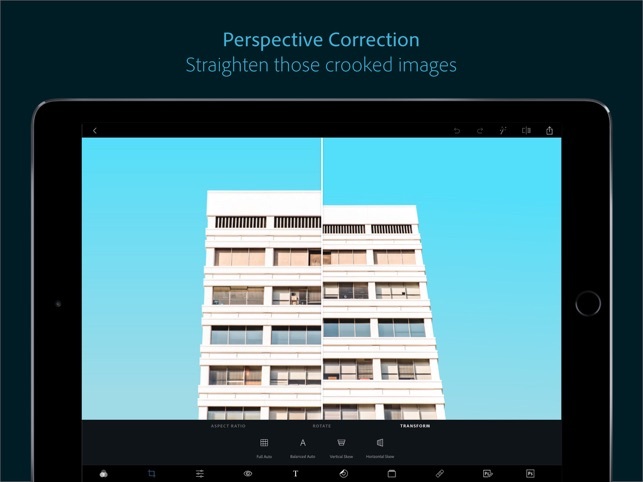 Even though it is made for quick editing, there are some nice features included within the app that make it stand out. Brush Mode: You can apply effects selectively using the brush mode for greater, granular control. 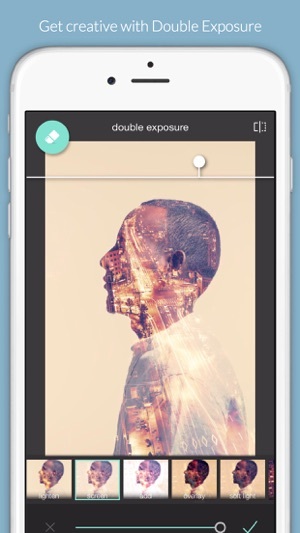 Double Exposure Shots: Edit your photos and turn them into gorgeous looking double exposure shots. I really like how the PicsArt Photo Studio, it is not too complicated, and get almost all the tasks done with great ease. You have an option to choose from a long list of filters and effects. 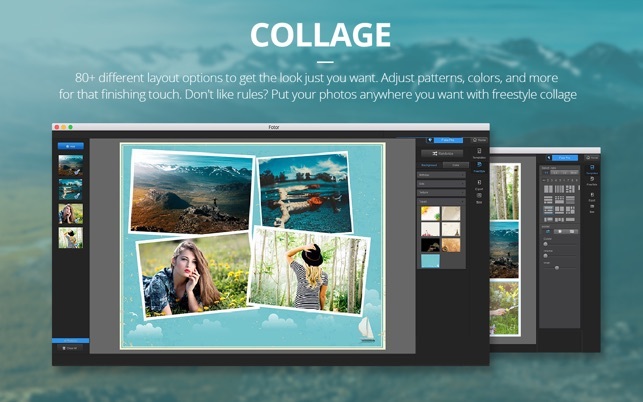 You get granular control over creativity, and the collage feature is one of the most solid ones. There are some amazing photo import options available, too. On the contrary, the homepage can be confusing for newcomers. You can not share images directly to social media, and the cutout tool does not work the way some would want it to work. 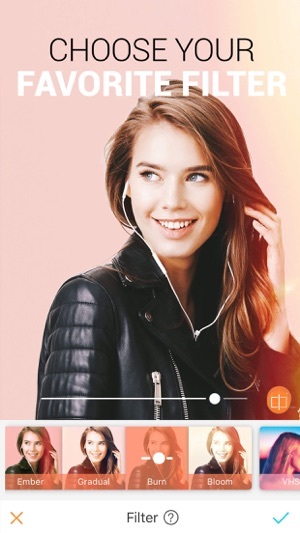 Overall, the PicsArt Photo Studio is definitely a great app for anyone who is looking to edit their photos, and have them look good. It works with ease, has simple and advanced features, and it works on most of the phones in the market. A plethora of editing tools as well as filters. Photo import options are amazing. The homepage can be cluttered and confusing for some. The cutout tool does not work the way some people prefer. 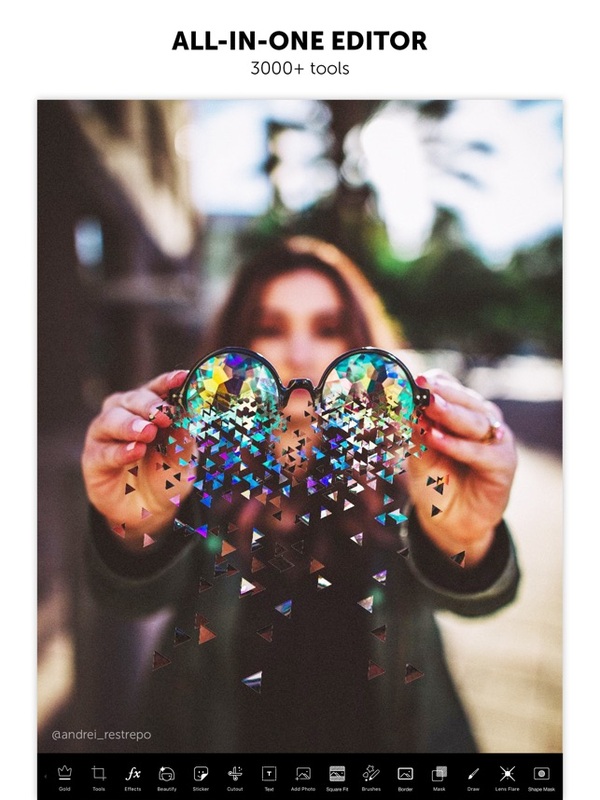 We have used Fotor before on the desktop, but when we found out that a mobile version existed as well, we had to give it a try. There is no denying that Fotor is definitely one of the best photo editors, let’s find out if the mobile version does the job as well. Despite being a mobile version, the features are certainly there and should get the job done. Let’s have a look at what you are getting. Photo Licensing: With Fotor, you can actually license your photos as well to protect them from being stolen. Enhance Images: You can enhance your images with ease, and not have any issues. The slide on the screen is definitely one of the most useful features. Templates: There is a long list of templates available for you to choose from. The good thing about Fotor Photo Editor is that it works well and without any issues whatsoever. There are a lot of good features available for you to use, and editing photos are rather easy. 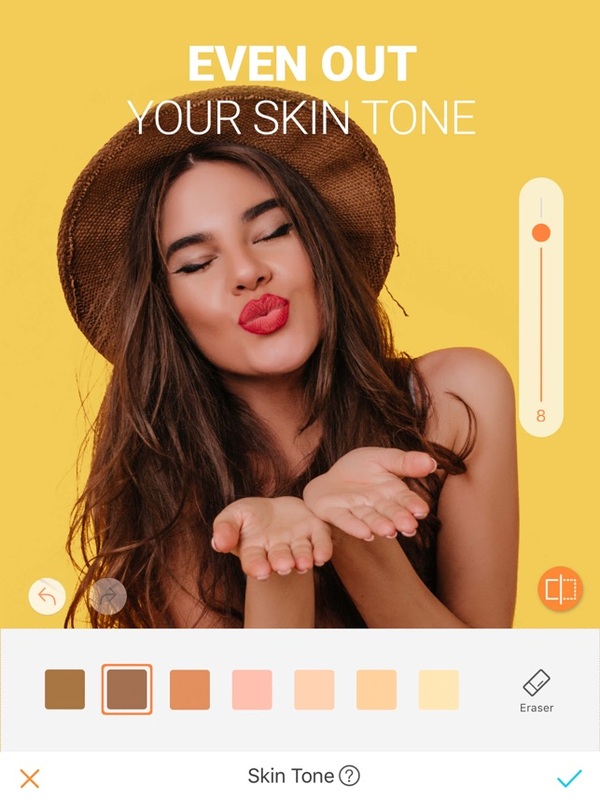 However, the issue here is that if you do not know the proper tricks and trades of photo editing, you will have to spend some time learning the app before you can properly develop an understanding. Overall, Fotorphoto Editor works really well in almost all the cases. 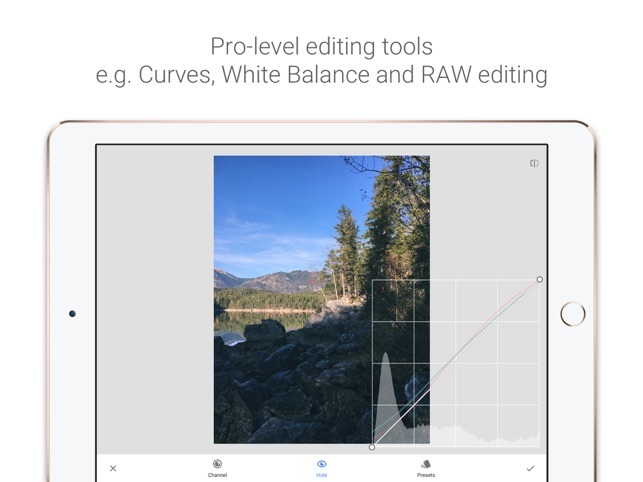 The app is great to use, has all the right features, and gets the job done regardless of the images you are editing. Photo editing made more convenient. For anyone who is looking for a photo editor that can be used for everyone, Pixlr is definitely the way to go. Its simplicity and ease of access is something that cannot be rivaled that easily. Even when it comes to features, Pixlr is definitely great and gets the job done. Below, you can see some of the main features of Pixlr. 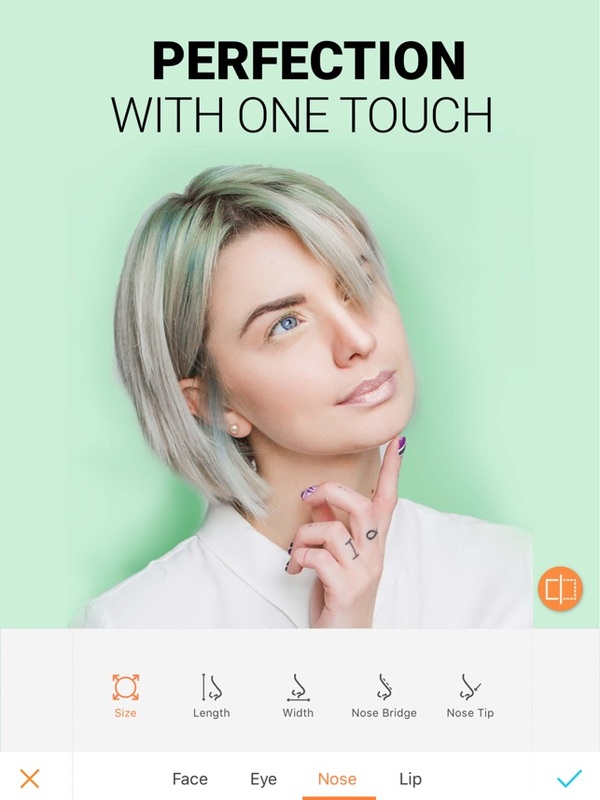 One Touch Enhancement: One of the best features of this software is that it offers oone-touchenhancement that makes your photos look amazing. Auto Fix: The auto-fix feature is simple, convenient, and extremely easy to use. 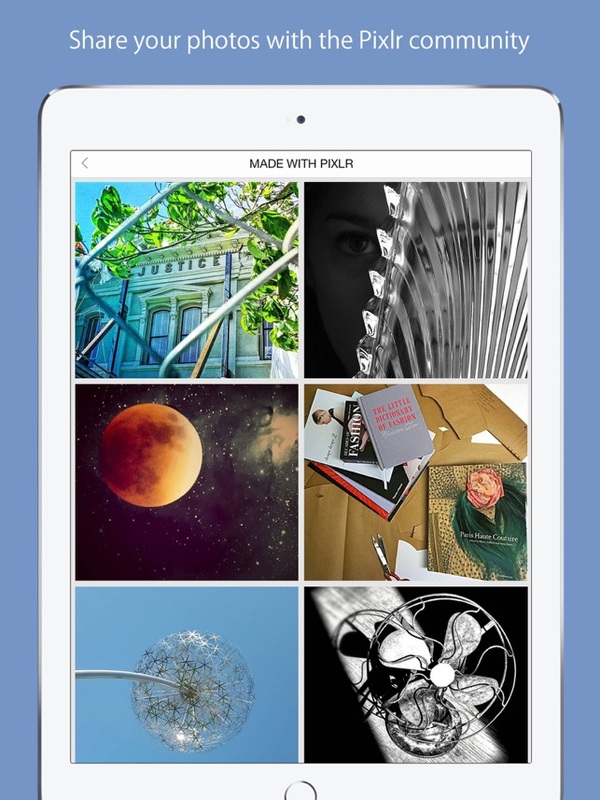 Easy Collage Making: With Pixlr, making collages is as simple as counting till 10. For all intents and purposes, Pixlr is software that focuses on ease of access. That is exactly what it gives you. You get all the basic editing options that you could want. The best part is that the learning curve is almost next to none, so learning how to use this app should be an issue for you at all. On the downside of things, its simplicity is also something that serves as a crux as there are no advanced photo editing options, and that could really limit you overall. Does not give you advanced editing options. 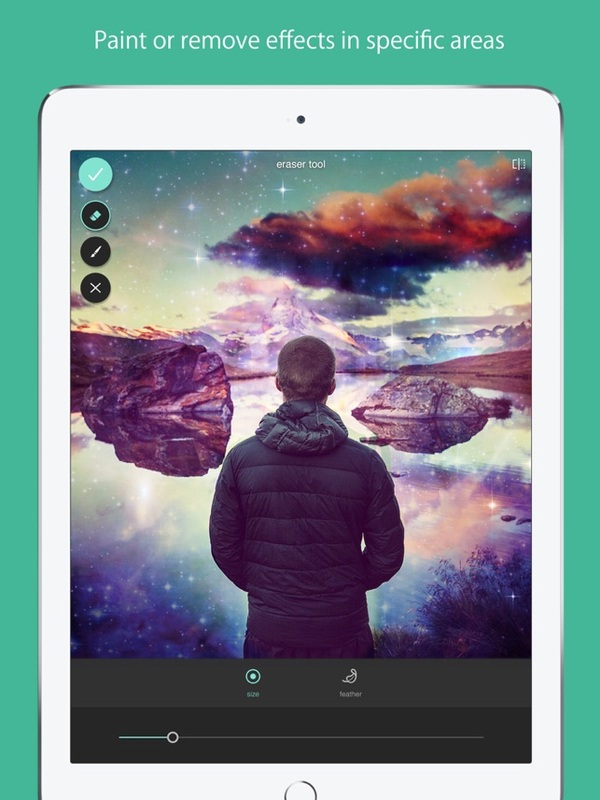 We are finally on the last app in our list, and we are going to be looking at AirBrush: Easy Photo Editor. The app is definitely made for those who are still in their beginning days. Which means that it does not come with any advanced features as such. Speaking of features, AirBrush does have some basic features that you could use and make your photos look good. Let’s look at those features. 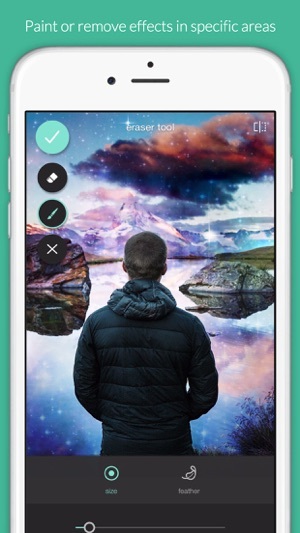 Instant Editing: With AirBrush, you can instantly edit whatever photos you have on your phone without any issues. Direct Sharing: Another benefit here is that you can edit your photos, and share it directly onto whatever social media you wish to. Number of Filters: With AirBrush: Easy Photo Editor, you have the choice to select from a ton of filters. In all seriousness, the thing about AirBrush: Easy Photo Editor is that it is perhaps the most basic photo editing app available, but that does not make it any less of an attractive option. 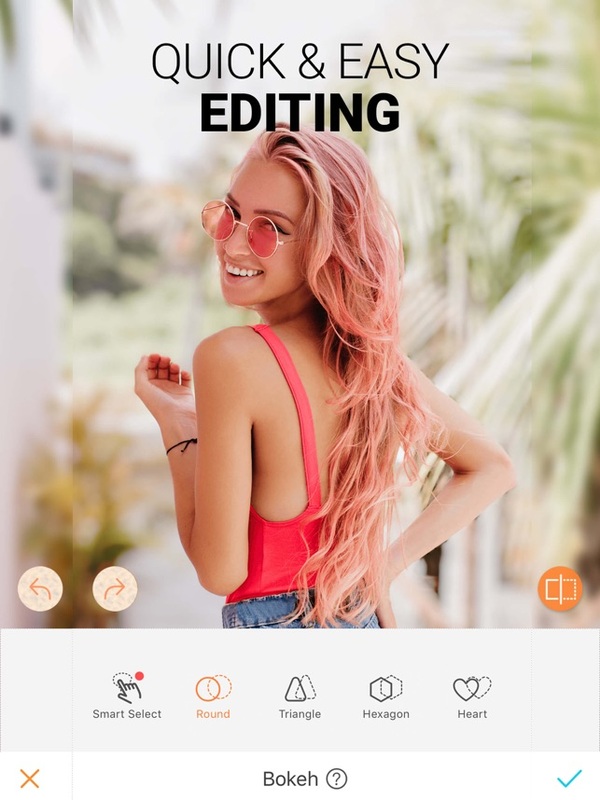 For anyone looking for quick edits, and sharing, this app does the job and does so in a great way. The downside? Well, if you want to have advanced level photo editing, you are going to need something else. Something that suits your requirements. 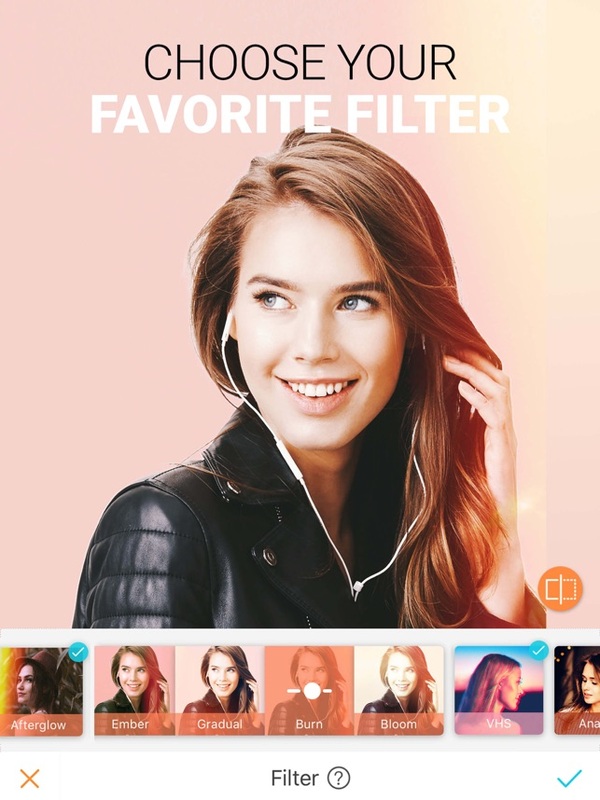 A long list of filters to choose from. Has only the basic features. Q: What is the best free photo editing software? A: Depends on what you are looking for. 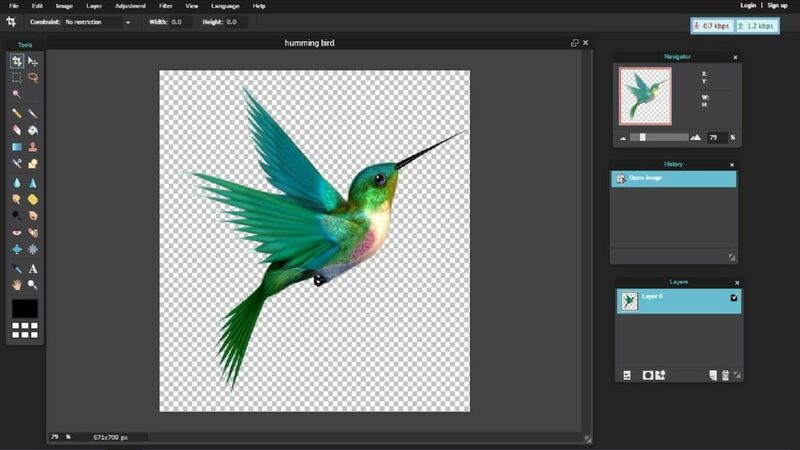 Adobe Lightroom and Photoshop are great for advanced users, but if you want something as a beginner, you can invest in Movavi Photo Editor 5. Q: Which photo editing software is best for beginners? 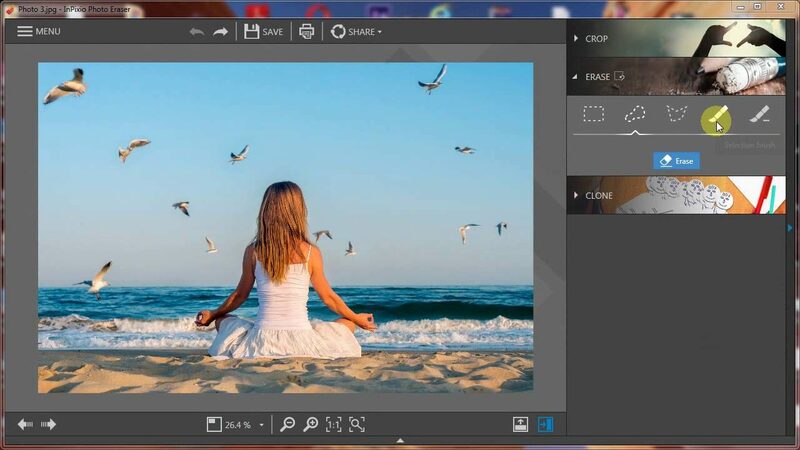 A: The best photo editing software for beginners is Movavi Photo Editor 5. Q: What do professional photographers use to edit photos? A: The most common software used by professional photographers is a combination of Photoshop and Lightroom. Q: How do I edit photos on my phone? 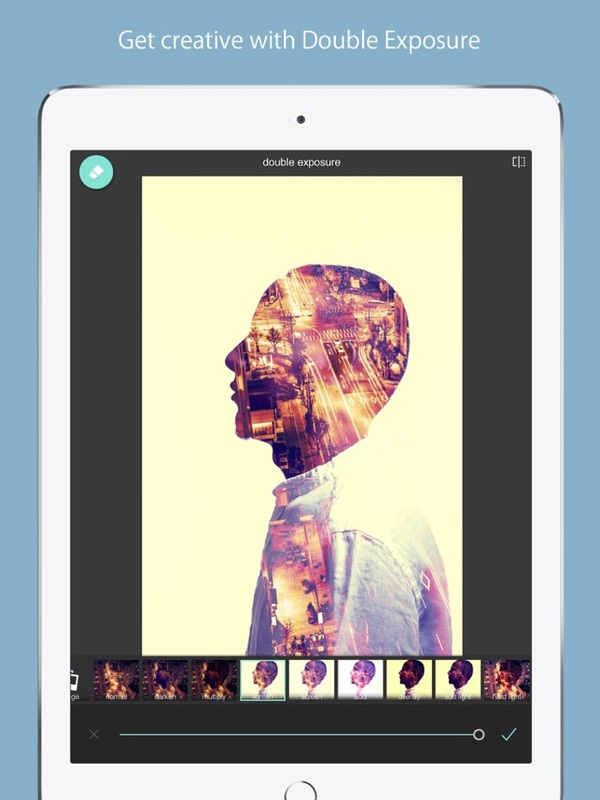 A: You can use any good photo editing app on your phone and have your way with it. Q: Is gimp better than Photoshop? A: Gimp is definitely good at what it does, but some professionals who are too used to Photoshop prefer it over Gimp. Q: Are there any free alternatives to Photoshop? A: Gimp is considered to be one of the best alternatives to Photoshop. Q: What’s the difference between Adobe Lightroom and Photoshop? A: The biggest difference between Photoshop and Lightroom is that Photoshop is made for editing photos and pictures of all sorts. 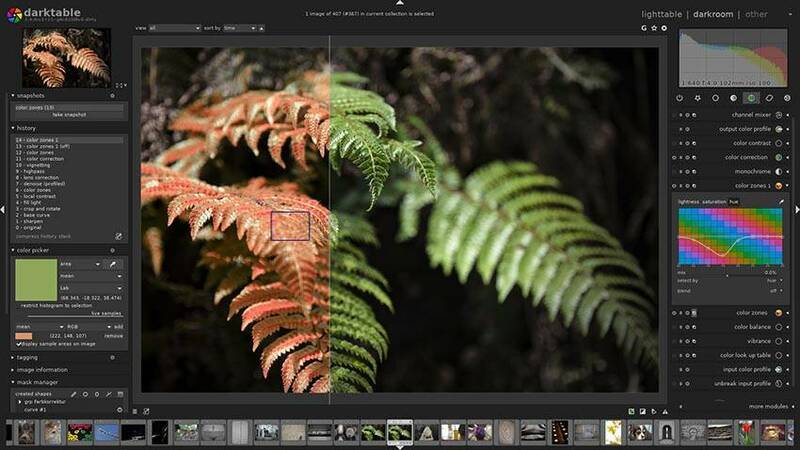 Whereas, Lightroom caters strictly to photographers who take photos from their cameras, and edit their photos. 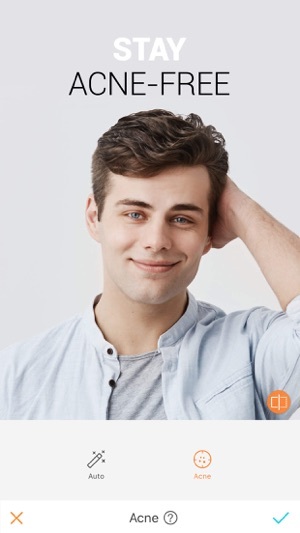 In conclusion, the one thing that I would say here is that for anyone who is looking for a good photo editing software, make sure that you know what you are going to use. With so many options available, you really need to find the right app or software for your photo editing requirements. 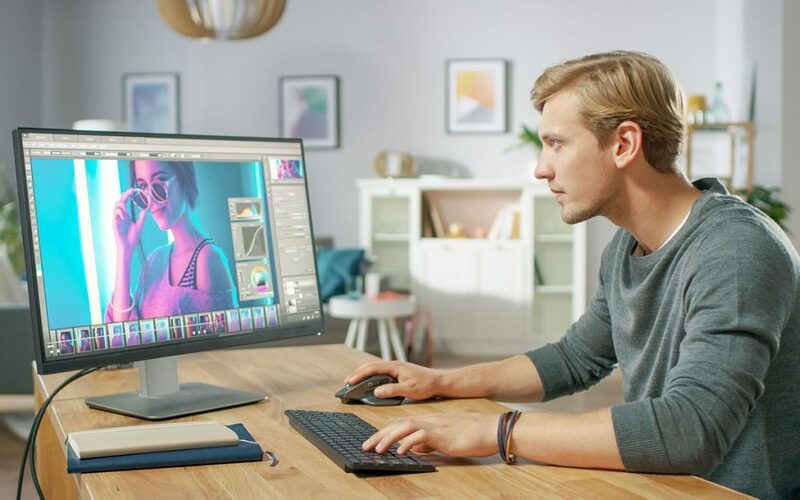 With that out of the way, we can assure you that this roundup will surely help you find the best software you can when it comes to photo editing. We made sure that every software or app that we have listed here is good and up to the mark as far as photo editing is concerned.